PIX 2015 has given us the opportunity to do something we've wanted to do for a long time: present awards recognizing the significant bits of photographic gear that have been announced in the last year. The DPReview Awards take into account the technology, the performance, the value, our experiences and the plain simple enjoyment we got from shooting with these products. All awards were voted-on and furiously argued-over by the DPReview editorial staff, with LensRentals' Roger Cicala weighing-in with his expertise as guest judge in the lens categories. During the bad market situation, the best gears not making much profit then the worst gears. The article has a publication date of 7 October 2015. True, but on the homepage the image says that it relates to the 2016 awards. I don't know what you are comparing A7RII with any Nikon! After all the Nikon didn't do the comparable equipment! The logic behind the A7RII playing 2nd fiddle to the D750 for full frame escapes me if the A7RII is product of the year. The A7RII and the D750 are not in the same league. Maybe I am missing something. The decisive battles are fought elseqhere, between the Androids, the iOSs and some Windows cameras. More and more, people will notice that the fancy mirrorless or dslr is gathering dust in the closet because –let's face it– your smartphone is always with you and the pictures you are taking are mostly shared on social media or printed to post card size. I got tired of my HTC's photo quality and finallly got myself an iPhoen 6 plus. It became obvious that the Sony A6000 has nothing to do any longer. If I want to record everyday instances, iPhone is adequate. 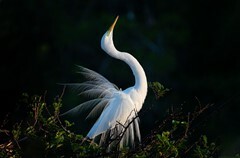 I I want to play the Grand Artist, the 5D III covers every need I may dream of. Like in photography. though Iäd like some more...off something that the Sony sensors have but the Canons donät...and so forth. Actually world is visually polluted by people who just do not have the gift of beauty, any part of it. Cell phone cameras just spread their crap around, they do not make it. I don't really take awards too seriously but I'm interested in the description of the D750. "The Nikon D750 is probably the most complete enthusiast camera we've ever encountered." Nice it received a joint award, unsure about the "enthusiast" tag. 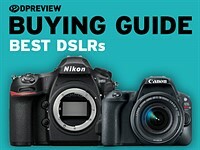 Similarly the D7200 was reviewed as an "enthusiast stalwart". I would see enthusiast as below prosumer, which is below semi-pro, which is below pro. Lot of people making good money with the D750 shooting weddings, I realize the buttons and body are perhaps not fully pro but it has two card slots - I don't see the A7RII ever described as an enthusiast body because it has one card slot, 300 shot battery life, is not fully weather sealed, has a limited buffer etc. I think the A7RII is worth its awards, it just always seems a little arbitrary what features are considered semi-pro or pro. Nikon D750 is the Great King ,But not the Emperor!Because shutter is 1/4000 .My old Nikon D300 has 1/8000!But image quality is far better! Pro-like camera--but Nikon spoiled its dignity as an Emperor-its mistake-major is 1/4000!Yes we do not need 1/4000but sometimes-- should given it--it is FX and ahead of Nikon D300!Can some software upgrade the shutter speed? LCD screen is rotatable--but not 360.Lower models like 3300 have.LCD of Nikon d750 is vulnerable from accidental hit! 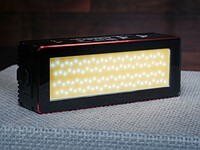 I have seen many reviews but they did not mention it.The plastic of the flash is also not like my D300!Low grade. I can move command dials by pressing the lock and then I can move P,A.S etc.It is very cumbersome.When Fuji XT1 can give easy command dials at low price why 750 can't?Emergency situations need such easy command dials. Birding s too. DxO One. Fresh out of the gates, totally unproven and it's on the list and it wins a PRIZE??! Why do you think the category was called Mobile Product of the Year not Mobile Phone ... :P Well it is innovative, really of no interest to me, over-hyped and overpriced but it's a clever concept I guess. Totally agree. After playing around with all of them Panasonic G7 offers much more versatility and makes it so easy to turn 4K video int stills. I was able to do things in camera that I have never done before. SONY RX100s have the same issue as I found in my M3 detailed in below. BTW, In Sport mode, my M3 has the issue regardless of the "Focus area" is set to Wide or Lock-On AF wide. As well, the very same issue can be found in any mode when using AF-C. I have had same experience...maybe a software update. Right SONY should take care of the AF-C issue. I did not return my M3 to the store to get an replacement after I saw all the RX100s has very much the same issue. M4 is slight better BTW. I have no ideal why DPR reviewed all the RX100 from M1 to M4 without noticing the issue which is very easy to see. I normally only look DPR's Studio test results which is useful, but rarely read the review as they/DPR can not find problems most of the time, or they "found" problems long after becoming public knowledge all over the place in the net already. Again, DPRs' reviewers are very bad in terms of finding issues as far as I can see even DPR has more reviewers than any others. Quantity =/= Quality, and it is always true. BTW, for the reference, a6000's AF-C seems normal/ok as I tried in store, but I did not try out all the SONYs. Maybe they felt the mkII wasn't enough of an update. But odd, yes, because I'd still buy one over a D7200, as far as I can tell unless you really need Nikon focus tracking or have Nikon lenses it's a very even fight, and the K3 has pixel-shift and a better viewfinder.. The K3 II was on the longlist but didn't collect enough votes to be included on the shortlists published here. sorry guys. but serious, the ONE is first WHAT????? I think all new modern cameras are very good or even great, i don't see any great difference in all brands of the same class cameras, they all work well and none really blow away another brand, these are tools, and everyone uses them differently, so what's the big deal with all the infighting over the best one, by the way, i own Canon, Nikon, Pentax and Sony, so i'm no fanboy. We live in a very unique time to have all these products at our disposal, just enjoy them and have fun, yeah i know, i'm corny. I absolutely agree! It amazes me the amount of brand loyalty fighting. I shoot Canon because it serves my needs, but I would never trash another brand. Everyone has their own preferences, but this doesn't mean your brand or my brand is best. It is what works for me--as well as you. The amount of hostility conveyed in some of these threads is simply juvenile. 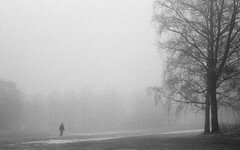 Did you guys get so negative before you were photographers or because you are photographers? I can't agree about the Samsung S6 at all. No micro-SD slot, no replaceable battery and not waterproof like the S5. What the?! Sticking with my Samsung S5--the S6 is an epic fail, IMO. You need to use the S6 for 3 or 4 months, before making a judgement. Have had mine for 10 months now,and,must take my hat off to Samsung,for coming up with an astounding phone - it exceeded all my expectations in every way. 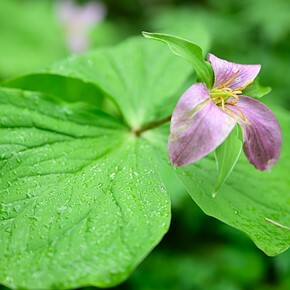 In actual use,the disadvantages mentioned,become non-existent. S6 fully waterproof down to about 1 metre. Camera on this is simply fantastic - and I am a semi-professional photographer,so I know a trick or two,when it comes to cameras. Beats anything else out there,hands down,including the new iPhone 6S. Shocking choices. Call David Pogue. Call his former employers NYT, etc. Ahh the great Sony I'm sure it will be in the sidelines at the worlds great sporting events soon..shoved in the bottom of some amateurs bag with a pile of Canon or Nikon glass crushing it. Best full frame camera..well unless you need great AF combined with wonderful glass that can track targets in all weather and then 10 seconds later take a stellar wide angle image. But hey these awards are voted by guys who shoot on blue sky days with heaps of time to deal with crap evf's then who only care about cameras as toys. A real system camera isn't crippled by its systems glass or the focal length or the F stop of the lens hence DPR proves its more interested in technical gadgetry than cameras used by real photographers in the real world working for real money. Sure if you're shooting a pro tennis match, bring a D4S or 1DX. Well this is an enthusiast web site. And most enthusiasts aren't lugging around $20K of equipment thats heavy and overkill for a kid's birthday party or football game. So the criteria for judging will be different. It's a little sad that photographers such as this one are so resistant to change and innovation that they will quickly turn a blind eye to anything that seems a little too "new age", instantly making claims that new devices "won't last long". That's a line of thinking that accompanies countless innovations and improvements that are staple in today's society, including the boom of digital photography. If you want to shoot a DSLR, that's fine. But stop bashing those who appreciate what Sony, or any other MILC manufacturer, is trying to attempt. You sound like a grumpy grandpa. The likes of Sony, Fuji, and Olympus are getting huge in the photography market now and the trend doesn't seem to be dying down anytime soon. I would hold my breath before discrediting the boom of mirrorless photography. The technology is improving and it WILL catch up to the power of DSLRs at this rate. The A7RII is flawed, but close, and it'll only get closer with time. Yet another dogmatic photographer using the term 'real' really too much. Agree about most but not EVF's. OVF's are simply not as good anymore, especially for macro or any other time when critical manual focusing is needed. OVF's are for composing a scene, not much else. Until the A7RII released, the NX1 had by far the largest BSI sensor. And it's still an outlier. Few mirrorless cameras shoot 4K internally, and the A7RII has overheating problems, leaving the other one as the Panasonic GH4/GX8. According to tcstv A7rII doesn't seem to have any major overheating issues. a lot of people have reported it beyond 20 minutes of 4K recording. I am not a big for of tcstv reviews but in that particular case he explains and shows quite clearly how he tested it. Not to mention they shot the whole review with it. A lot of reports I have come across don't have the same kind of coverage (not that I am implying they are false). In any case that thing is out of my price range, I simply posted the test to play devils advocate. I'm all for more testing, but I'd do my own too. Waiting for 14 bit stills. RX100 IV and Leica Q are one of kind, but not sure about DMC-G7 and NX1. Really? I didn't know that. It is surprising though how the NX1 is easily the best overall APS-C camera every manufactured, and still got so little press compared to the likes of the Nikon D7200 or Canon 7D Mk II, both of which she trashes overall. Why give it press when its hardly available. In Europe and many parts of Asia its simply not available. So if Samsung is hardly bothered to try and sell this camera why should any review site focus much on it ? 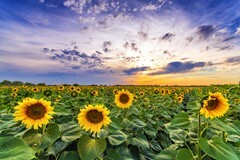 @Japan - Samsung is planning to close its compact camera business not its ILC business. Depends on your use case really. For purely stills i rather own a D7200. Getting hold of the camera is not too bad in the UK, but getting hold of the lenses outside the standard 16-50mm kit lens can be bit of a problem. One other thing that bothers me is selling Samsung gear is rather hard. Selling Sony stuff is annoying enough. that's one thing good about canon/Nikon, stuff seeks easily and at the same time easy to pick up on used market. Why give it press? LOL Samsung not trying to sell it? The issue is fan bois of other brands not buying it. Dealers not stocking it. I am sure Samsung would love for it to be stocked in all camera stores around the world in all countries, but they cannot dictate this. Samsung are a manufacturer NOT a retailer. By the way they are not closing their Camera division, Japan may hope they do? If you want an NX1 you can easily access it via many online sellers. I think this camera has sold incredibly well online, away from the high street stores. well if someone is fanboy why would they swap!! I think availability is an issue. I don't just mean in shops but also in used markets. I can just about put up with Sony (and its gotten lot better in last two year for e-mount). But if got any worst I'd probably give up Sony too. As much as I'd love to buy all the new gear, I generally have a 50-50 split. I buy used when I am not sure about something, so I can re-sell with little or no loss. I personally got into Sony this way. If I can't try out Samsung in the same way, it becomes rather inaccessible for me. Yes it's a problem and I found when i looked at the NX1 the counter guys tried to talk me out of it, with no basis or reason. I knew why I wanted it they did not know how good it is. Many shops won't even take it out as they may only stock one and don't want to turn it into a demo. Samsung should have just put stock into lots of stores as "Demo's" So yes Samsung need to come up with innovative ways of breaking down these barriers. Away from this th NX1 is healthy in it's own community where Video performance is important. Samsung has NOT stopped mirrorless camera sales. You've confused a rumor for fact, Samsung has hinted at reconsidering P&S cameras. 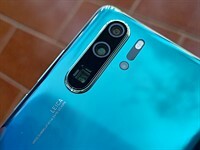 No rumor, unfortunately: a good friend of mine was working in their camera design team (based in Tokyo) and they have disbanded the whole team. It was announced internally that they are leaving this market but keeping maintenance and other basic things alive. So don't expect any new ILC or lens in the medium-long term. By the way, to clarify, their Camera Design team was based in Japan, but they have never distributed their ILCs in Japan, so I am not mistaking with a partial drawback from one market: they actually stop designing any new camera. And Samsung has denied it publicly. Your source is not fully informed. No, the rumor is that Nikon leant some engineers to Samsung to design the NX1, that cooperation may have ended. It is indeed likely that Samsung would withdraw from P&S cameras. JapanAntoine. Can you confirm that this was all of Samsung's whole camera development team? Maybe they have other development in Korea? What camera's was your friend working on? And if this is true, why are these people not talking about it? Have they signed NDA's? . It seems strange to close a whole area and have silence and just friends of friends quoting? I am not saying you are wrong, just would like some more information. hmm... if they signed a NDA, they have clearly broken it already! Samsung has likely dropped the 1" sensored NX mini. Also again Samsung basically denied the rumor. And why would they still be marketing the NX1, if it's no longer being made? I am not suggesting they have dropped NX1, what I am saying is someone signed a NDA, they are definitely breaking it. I work for a large electronics company myself and we sign all sorts of agreements. I am not even allowed to take a job at a competitor company for 6 months after leaving the company! So why would someone risk their career! Forget telling a good friend, I wouldn't speak about work related stuff to my own parents or wife! And if there is no such agreement, this story should have had more leaks than the titanic by now. As I said above the rumor, totally unconfirmed, is that Nikon leant out engineers to Samsung to design the NX1. Perhaps thinking to gain mirrorless design experience, or more radically to launch a Nikon mirrorless APSC body that could take NX lenses--sort of akin to the Panasonic-Olympus lens overlap for the 4/3 and m4/3s mounts. A poster named Japan spreading bad unfounded rumor about Korean nemesis Samsung... That's classic. Guys, there's absolutely no way Samsung would have any strategically crucial R&D in Japan. Doesn't matter if they closed this little shop or not. Samsung has big teams in Japan for R&D and Design. There was a team specialized in Cameras design (UI, UX, etc) but I am not in the details of their org chart. I just meet a friend a few times a year and he's been working there for years, on many cameras Samsung released (from P&S to ILCs). He just told me the team had been disbanded and the reason given was that the new Samsung chairman is cutting all non-profitable activities, cameras being one of those. So in reality, they could be just cutting back in an area that worked on UI, UX etc??? 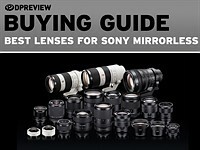 Sony closed one of their main lens factories 5 years ago. They still seem to make lenses and camera's? I walk into camera stores whenever I get the chance, and holding a camera is a big part of my assessment of it. I had muted feelings about the XT1 until I held one, so putting your stuff in stores is important. I've seen a few Samsung stands, but never with a NX1, which is a shame. So I think your anger should be at Jessops? Ask them why they don't stock it? Jessops oxford street only stock things they can sell and have been 'trained' to sell. For example, I have seen Sony reps there few times speaking for Sony cameras trying to sell them with the staff there. Plus its a small shop with limited space plus space is expensive in London especially so on Oxford street. So a camera on display will need to support itself with sales. At the same time they don't want to be seen as the shop with lower number of options. So they will have a stand for samsung, but it won't be well supported. Just as test, have a word with one of their employees about samsung gear and then canikon gear, you'll notice a huge difference. And if the camera is not on display the store can lose traffic. Majority of the people who go to store are generally not sure what they want. I don't know which part of the world you are from but in UK it is cheaper to buy online from amazon or during sale seasons than in shops like jessops. Its a lot easier to sell a canon or nikon DSLR to someone looking for "upgrade" from p&s than it is to sell Samsung. Like I said that store in oxford street is small, with limited space where space is probably at is highest price in the country. Any camera that's on display has to support its cost. They will still have a Samsung stall to make sure they have covered a wide range of options but it won't nearly as well covered as canon or nikon. Sure there are people who go into camera stores not knowing what they want. Then there are people, usually in big cities, who use cameras, who go into camera stores to restock but also to look at what is new. In many ways these repeat customers are the most important ones, because over the course of a year or two they spend much more money in serious stores for gear than someone who simply gets a DSLR upgrade from a P&S. 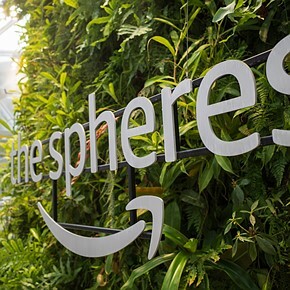 And in the US, Amazon's prices simply aren't better than those offered by good stores where one can try cameras--this is only true of big cities in the US. I've never been in Jessups, but they don't sound like a particularly serious camera store. They sound like something akin to a camera boutique--almost all of those went out of business in the USA. Ritz and Wolf would be two examples. Having managed Camera stores in the past, Salesmen, I have found will tend to be dismissive of products they are not familiar with, even to the point of putting a product down or "Why do you want to see that camera" This translated actually means. Please don't ask me about that camera as I am unsure of demonstrating it. Brand ambassadors in stores is the only way to break it down, get the guys in the store owning and using the gear. THEN the attitude changes. It a circle, I don't know it, I don't want to demo it, the sales are poor, lets not put it on display, so sales are NON existent. Then the store and sales guys will say, poor camera and poor sales. Samsung need to work to fix this, only they can break this down over time. Jessops used to be one the largest chains in UK, and recently had to shutdown few stores due to financial difficulties. At least in central London, we don't have big camera shops like b&h. I wouldn't know about outside London, but I imagine they aren't massively different in size either. Jessops is still one of the more popular, well known camera shops in the UK. You can comparing US market to UK market. They don't work the same way. I have only ever bought 1 piece of new camera equipment from a camera shop. I can almost always find it cheaper online or on amazon. Still available online, at a premium price.. Doesn't work that way in the US, though Amazon can be cheaper than B+H for say a peculiar flash card if you really try. Home Depot, one large chain of home improvement stores, is great if you just want to run in and buy a power drill or circular saw, or 10 bags of ready mix concrete, but they're neither specialized construction stores, nor specialized wood working tool stores. In the US most of those two latter are still independent--and/or online. Unfortunately in the UK if you want to try a camera out in person it can be a bit of a hunt. Nan - I've been on the Park Cameras website quite a few times, didn't actually realise they had a store there. The Curry's on Oxford Street opposite Jessops has a surprisingly good range of cameras - so far the only place I've been able to play with an XT-1. I don't make a point of visiting Jessops but I drag my girlfriend in there to look around when we're nearby. They used to have quite a few Samsung cameras out on display but no more. I used to like the London Camera Exchange on the Strand but they once offered me such a bad trade-in price I felt insulted and haven't been back. Regarding brand ambassadors, they're definitely part of it with less informed customers. However I had an argument with a Sony ambassador in a Curry's recently - he was trying to tell me E-mount cameras would take Alpha lenses without an adaptor. Because Sony now call them the Alpha 7, right? *facepalm*. There is also a cameraworld store nearby. LCE (not just the one in Strand) has terrible trade-in prices. It is rather insulting, and also a bit dirty when you notice their mark up prices will be more than 2 times in some case. But then they have very good customer support and offer excellent service even on used items. Actually the ambassador wan't entirely wrong. Alpha lenses includes both a-mount and e-mount lenses now just like how alpha bodies include both a-mount and e-mount bodies (have a look on Sony website they both come under 'α Lenses' title). The 'a' in a-mount doesn't and never stood for 'alpha'. Alpha is a name that sony made up initially for their a-mount bodies but a-mount has existed since 1985 under minolta (dynax, maxxum, konica-minolta). Now that name encompasses both a-mount and e-mount, the name has nothing to do with the mount really. Rather confusing but it is what it is. Overall decent list, good choices. I see some 2014 releases, so what are the criteria for "2015" award? It is from Photokina 2014 till Sept 2015. If I can save enough I will get the RX100IV. The video features are what got my attention. How about a category for things regular, non-rich people can afford? Nothing on your list is anything but top level (and top priced) gear. Except the Panasonic FZ1000 which is an amazing value. Your selections are for the rich, and your snobbery towards lesser priced choices that people can afford is obvious. You don't care about price, do ya? Guess what. A lot of us do. I agree. I think there should be a "Best Value" in some of the categories. Adjust your budgets accordingly. I'm not even in the same country as "rich", but I have an RX100 IV and D750. If you want something bad enough, you'll figure out what to sacrifice in order to get it. For everyone else, an A6000, D5300, and RX100 I/II/III should be fine. MILC without evf Samsung nx500 ~600 usd with 28MP and 4k, nx3000 with 20MP for ~300 usd (16/2.4, 20/2.8, 30/2, 45/1.8, 50-200 all around 200-250 usd) and kit lens is great. MILC with evf Sony a6000 - excellent camera, some affordable lenses, excellent lenses will cost you. Sony a3000 is ~300 usd and it has (low quality) evf. M43 or smaller - ask someone with better knowledge. Full frame - kidding, right? Compact non super zoom - buy a cellphone. Superzoom - panasonic tz70, Fz200, FZ1000 - pick your poison. The Panasonic G7 certainly fits in the lower price range. If strapped for cash, one can always buy used equipment. If you have a limited budget there are plenty of category tests you can Google for. At the moment if you're on a very tight budget the A6000 seems to be the way to go, or an older M4/3 like the GX7, or a Nikon D5300 maybe. None of which launched this year so would have no place in this round-up. So I sort of agree with you, but www.google.com has all the answers you seek, and more, so it's a slightly redundant criticism, and these rewards really are supposed to be about cutting edge stuff. Yup, a 'best value' category would be nice. Another for the budget limited category : best image quality with the lowest price ratio, as strip off all of other luxuries such as super fast AF tracking, outstanding video what not, some may want just $$$ = Image quality. 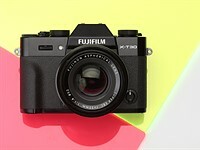 The old Fujifilm XE1 is a fitting contender. Puzzling criteria used for selecting the cameras. The Panasonic FZ1000 was announced in June 2014 so how does it qualify for a 2015 Award? Because in 2015 even after newer competitors were released, the FZ1000 is easily the better camera. Adn I agree the RX10II is over priced and still can't match the FZ1000 in IQ. If 2014 launches qualify, the LX100/DLux109 should be at least a candidate somewhere. A great advanced compact. 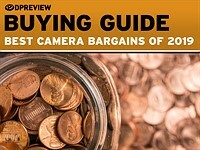 The LX100 is on one of the lists. It's in the "Best Compact Zoom" list. So no awards for Sigma's ART Lenses??? and can someone explain how canon's 11-24mm f4 was chosen over Sigma's 24mm 1.4 ART lens? 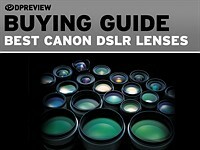 Dont agree with it at all and disappointed that the staff was not aware enough to put sigma's art lenses on the list. Indeed, Sigma needs some recognition for their ART line of lenses. Don't know if the intros fell within the dates considered or not by DP....am sure they will chime in. As to the Canon 11-24 it is very well thought of though not something I would consider for myself. I don't see any revolutionary aspect in the Sigma 24mm f/1.4. It is a great lens as there are many others. The Canon 11-24 is a revolutionary and also brilliant lens. No contest! The Sigma Art 24-35mm was on the list. The Batis 85mm didn't get a look in while the 25mm did. Even though I wouldn't buy the Canon nor think it is the 'absolute best' I still think it deserves the win. Well what happened is a bunch of People that work at DPR and maybe some guests as well voted on their choices. Clearly, the people who voted have a different opinion to you. By all means give your own awards. The Sigma is a prime and costs $900. The Canon is an ultrawide zoom that costs $3000. Why compare them at all, because they share one focal length? Well, the joint award was a little surprinsing and awkward at same time, but i feel that awards were spot on. 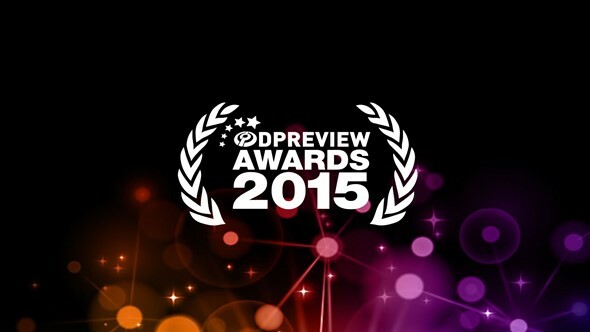 Congrats to DPreview and the inovative camera manufactures! Good job Sony on camera body, but I hope that Sony can have a lens winner in some days. I hope so too ! But honestly the Sony 24-70mm f4 was pretty much a lemon at its price point which was really disappointing considering I really like their CZ 24-70mm f2.8 for A mount. Their 90mm macro thankfully was a very stellar optic but run of the mill. They need something revolutionary to really showcase their abilities. Their 10-18mm OSS APS-C lens works perfectly from 12mm - 16mm. They should modify that design to launch a proper FF 12-16mm lens that takes filters easily. I am sure that will get a few eye balls! Sony's E-mount selection (or lack thereof) is what reluctantly made me move back to Nikon. Using an A-mount AF adapter on an A6000 to get the lenses you want completely defeats the purpose of the camera. "Cold day in Hell" before that happens. Maybe they sharp but traditional 90mm macro? If it were f/2.0 instead of the usual f/2.8, it would be on a list? Thanks. I enjoyed reading these! Slide 17 is a Canon? "Canon users have been waiting for some time for a super-wide-angle zoom to match the much-loved Nikon 14-35mm F2.8, and the 11-24mm F4L ." Again, I am not familiar with a Nikon 14-35mm F2.8 lens. 99% thanks for the effort, I enjoyed your awards, keep up the great work. But come on, in what world would a lens win for product of the year? You should also throw in a software awards category. I mostly agree with the awards, except maybe the NX1 for Innovation of the year. Innovation means breaking with the past and coming up with totally new ways to do things, often with the risk to not fit into what people are used to or comfortable with. To push technology forward. I believe the A7RII and even RX100IV are far more innovative than the NX1. the NX1 has a great new crop format sensor and powerful processor, but all in the good old DSLR form factor. Should I care if I use the NX1 or any of the excellent Canon/Nikon crop sensor DSLRs with the same form factor. There are practical advantages of mirrorless, form factor aside. I could care less if the shape is A7 shape or NX1 shape or GH4 shape. I mean the camera was released in November 2014 which makes it considerably older than the other cameras you're mentioning. Innovation doesn't last long. I think a lot of the NX1's love comes from the two "S" zoom lenses which are easily some of the best APS-C glass ever made. Phase detect sensor covering the whole image area. I own both and the A7RII is built like Sony is a boutique company rather than a huge corporation, Some areas are Amazing and others, it's like they were asleep at the wheel. This is not the case with the NX1, every part of this camera was thought about, And the criticism of it being old fashioned in shape?? Owning both I know which one is best in hand and the most balanced and it's not the Sony. The NX1 is absolutely the most innovative. innovate - make changes in something established, especially by introducing new methods or ideas. "Focus that actually works" - there are plenty of cameras where focus works. If you are talking on-sensor phase detect, its been working pretty well since Nikon 1 system, Canon dualpixel, Sony's A6000. "Touch screen" really? My 4-5 years old NEX 5N has a touch screen and is probably not the first APSC camera to have one. "Near FF sensor capabilities" perhaps we should say 5DSR, D810 and A7RII have near MF sensor capabilities. I am not saying NX1 is a bad camera, but not that innovative. Samsung combined many "tried and tested" technologies one good APSC body, but didn't really risk pushing anything truly new that might or might not work. If anything, Sony stabilising full frame sensors in A7II/A7RII is more innovative, making Eye AF work properly for the first time, but would rather note RX100IV stacked sensors that for me were most innovative cameras for 2015. No camera has bought it all together like the NX1, try one and you may understand how, as they say in the comments. No other camera brings everything together in one camera where it all works really well. IBIS is a Minolta tech that Sony acquired in 2006 and now they put it in their latest camera, so how is that innovative suddenly in an award in 2015? As for focus, sorry but the samsung is the first large sensor camera to actually achieve a level of on sensor focus tracking that works reliably and hence is usable approaching DSLR performance. AF is at the core of modern camera's so this is a breakthrough, plus BSI sensor, etc etc I own both A7RII and NX1 and I totally get why the NX1 was their choice. I understand you love your camera, but still don't see where the INNOVATION is. I am sure the majority of Canon/Nikon users find their DSLRs best thing in the world irreplaceable, but this does not make them innovative. And BTW, I don't see people breaking their legs to get one of these revolutionary NX1s. And i am asking you what is innovative about the camera's you have suggested? I own one of them and i don't see it? Is it innovative to have a screen you can't see in daylight to shoot video? or a one hour battery? I could go on.. What has sales got to do with it? Sales success was not a criteria? I assume they judged it on the merits of the camera? I reckon more people have bought their NX1's and kept them than A7RII people who have bought and sold as a percentage? "what is innovative about the camera's you have suggested?" What about being the only full frame camera with modern 42Mp sensor that is stabilised? and on top of this you can use any lens existing on it with an adapter. What about being the only Full Frame camera that does 4K video internally? What about having the largest EVF? What about being the only full frame camera with full electronic (silent) shutter? I don't need to mention that it has the largest BSI sensor existing. If this is not innovation, I don't uderstand how NX1 is! My Alpha 900 had FF sensor stabilising back in 2006 thanks to Minolta/Sony, So is this innovative nearly 10 years latter? As I said, I have both camera's and the only thing 4K about the A7RII in FF is the number on the Dial. The output is much lower than 4K, It really is only 4K at super 35 and can you explain how this is better than the NX1? Even then the NX1 way out resolves it. Largest EVF...Innovative? The viewfinder is good but it needs to be because the back screen is crap. You cannot shoot video in daylight on the back screen. It's broken! Anyway, don't suppose it matters, the sony did not win the samsung did and the advantage that I have and that the guys at DPR have is they have extensively used both. I tell you what I wish Sony had innovated at with the A7RII, Try using something better than blackboard paint on your bodies!!!! One trip out with the A7RII trying really hard to keep it separate of my other gear in case I decide not to keep it, and get home and find the paint on the prism edge rubbed through to the metal. ARGH, This camera is a Alpha effort, from battery to OS to even paint. I had heard this about the new Sony's. A plastic lens hood will win in a fight with the new Sony. Really Unhappy! This from a Premium priced camera that sells for $4K in this country!!!! "the only thing 4K about the A7RII in FF is the number on the Dial. The output is much lower than 4K"
If you had at least some understanding of the subject, you would have known that what's important in Full Frame videography is the full frame aesthetic, using a large sensor that allows for shallower DoF and specific look. The camera is doing line skipping, but does read the entire FF sensor which provides the FF aesthetic. Even if 1 in 4 pixels are read you still have enough resolution for 4K (about 8Mp) and actually will get very close to not needing interpolation which is always a good thing to avoid. While shooting in Super35 allows the sensor 1:1 readout to 4K and no skipping which is the ideal case. I actually doubt you have the A7RII at all (not in your profile as well), rather a Samsung fanboy defending his favourite company. It just doesn't make sense at all to throw $3k at camera you don't like at all. Good one, so if I add it into my profile that will validate my statement? Thanks for doubting my knowledge. Go and see the camera store review. He estimates the 4K FF output at about a real 2.5 K and I agree with him, Its soft and mushy. And I have verified it with my own A7RII. Thanks for the photography lesson although its not needed I can assure you. Lets be accurate, I wanted FF asthetics in 4K, That is not what is achieved. In Super 35 it res is closer to 4k. Having an output res that is 4K doesn't mean it is achieving this in actual resolution. The 5D was alway rated way below its quotes 1080P in actual resolving output. I am a fan of the Samsung, no doubt, I wanted to be fan of the Sony...But maybe not! One thing is being a fan of something cause it does what it promises, it another thing being a Fan because you invested in a "Team" and you start barracking. Actually right now I am having huge buyers remorse for owning the camera you accuse me of not owning, the A7RII. Two weeks in and the paint is coming off, must have rubbed up against my NX1!!! Argh, innovative new instant Old Patina paint finish, looks old after just a few uses. I wish Sony had not innovated on that one at my expense. Exactly, but apparently you don't want an innovative product, but a trusty old DSLR style camera and you found it in the form of NX1. As I said before its not a bad camera, apparently very good, but Samsung didn't put any revolutionary ideas in it, just evolutionary. To say it another way, they didn't risk with anything new and untried that will alienate some customers! This is not innovation. The makers of A7RII did, and your opinion of it is exactly the proof that it innovated much more than the NX1. Obviously you not the kind of person that will put up with imperfections of innovative products until all issues are ironed out. And this is Ok as well, however, this does not make the NX1 an innovative camera. Really surprised about the DSLR wins, esp the D5500 and D750. Not surprised the A7RII took the big banana though. The newly converted mirrorless (A7RII in particular) and the D750 owners are rabid - who'd want to put up with them moaning away in the comments for months to come? DSLRs innovation is extremely slow but they are already so good that there isn't a lot that is terribly wrong to improve. The D5500 has excellent IQ rivaling any APS-C mirrorless camera or DSLR for that matter and it has a pretty capable 39 point AF system. There are a few bad points like the lack of twin control dials and some direct controls, poor pentamirror viewfinder etc but for photography its hard to best it at its price. Nikon d 750 is an excellent camera despite the flare issue in some serials numbers. Nikon d750 is still in it even though its release was over a year ago. DXO one really? How about Panasonic CM1? You don't need to deal with crappy iPhone to shoot a picture. Seriously? There are at least 5 better smartphones than iPhone 6S/6S Plus in terms of photographic feature. I can think of two phones that top it in some areas. I'm mostly messing with you, though, for being a troll. Would love to hear about how the RX100IV wins over the LX100. I'm considering picking up the LX100 over the RX100 mkIV - as a user of the original RX100, I really like the camera except that it's a handful with manual control. I was under the impression that the LX100 has superior manual control & better image quality and performance (in terms of AF? ), and that the only real disadvantage is it's relatively larger size? The LX100 uses an 80% crop of the GX7 mFT sensor if you look at the RAW comparisons with the RX1004 at low ISO the RX1004 is actually a little better assuming the same output size. Up to 800ISO any differences are pretty small, from 1600ISO upwards the Panasonic pulls ahead though never by more than 0.75 of a stop. As I say this is assuming the same print or web size. I have both the FZ1000 and GX7 . Though the LX100 here in the UK has a rather significant advantage it is a full £300 cheaper than the RX100V! Because its the "Best Zoom Compact Camera" and size really matters. The LX100 there has a huge disadvantage in size. When the LX100 came out it trumped the RX100m3 on many fronts like 4K video and the quality of the viewfinder. Now the RX100m4 is a better comparison and you're mostly deciding between size and manual controls. Each still has advantages over the other but the RX is smaller and probably a better "amateur" camera where the LX100 is not going to fit in your pocket and wasted on somebody who has to be told how to put it into auto. I haven't seen the LX100 in person but it looks like that it is only marginally bigger due to the slightly more protruding lens and the eyecup for the EVF. I wouldn't exactly call the RX100 pocketable - to me the LX100 belongs to the same level of pocketability, which is to say none. Sounds like the LX100 would suit someone who is looking for a small portable camera as a carry-around for flexible quick snaps and video. 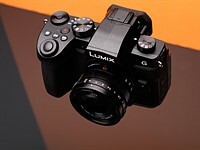 It has similar to better IQ than the RX100-4, it is much cheaper, has a hot shoe, and more manual control. Could anyone comment on the AF performance difference between the two cameras though? I'm intrigued by RX100-4's allegedly amazing new AF (result of the new sensor tech). Happy to see Nikon D5500 the winner in consumer crop-sensor ILC. It's very lightweight a DSLR. It fits very well to beginner amateur user. One thing missing: the GPS facility. I hope one day Nikon update the firmware to let the camera make use of GPS facility in smartphone via Wifi to write GPS data to photo EXIF as an option. Essential reading for anyone choosing between these 3 cameras. Totally biased review. The guy didn't test each camera to its intended purpose, but rather which one suits his style best. And of course what he's used to came on top. Very weak, poorly thought out and poorly written review you have referred to @entoman. Strictly for the insecure who need their prejudices reinforced. The fstoppers review summed up the differences between the systems very accurately! The reviewer made no secret of the fact that he is a Nikon user, but his conclusions were fair. As you will see from my other posts, I think Sony fully deserved the award. They are extremely innovative and pushing the frontiers. We all benefit, regardless of which brand we use. "If all your equipmant was stolen and you could afford to replace it all with a new system, would you stay with your current system, or switch brands?" I'll give you my honest answer - I've used Sony & Nikon systems, and currently Canon, in a professional capacity. If I had to start all over again, much as I admire Sony's technology, I would either stay with Canon, or switch back to Nikon. I think Nikon cameras are better than Canon in several ways, but I prefer the ergonomics of Canon, so I'd almost certainly buy exactly the same gear all over again. I would maybe choose Canon if I was a pro. But for personal use I would go for a Fuji or stick with Sony again. Don't like Canon's sub par sensors. Sub par they may be, but it's very very marginal, and I'd bet that no one could tell the difference between images from A7iiR, D810 and 5DsR at ISO speeds of 3200 or lower that most of us shoot at (assuming same settings, subject, lighting, exposure and print size). @ entoman- Ergonomics are a personal preference. Having also owned every brand under the sun I would choose the Sony, because the slight differences in ergonomics are outweighed by the flexibility of the camera. Also as someone who doesn't need to or want to shoot wildlife and sport I actually prefer the Sony design and control scheme and feel extremely limited when I use my Canon's. I prefer the 4 dial approach to any DSLR and their push and turn approach to adjusting more than 2 settings (which is a carry over from the film days). I also prefer being able to customise controls to suit my needs, rather than a one size fits all arrangement with fixed control points. So while you can say the DR and sensor performance is so close to not matter, at the end of the day the ergonomics are as well. Different? Yes. But completely adaptable if one wants to. But no one camera will be perfect for every user and every shooting scenario, so we should spend less time having a dig at everything that is different and embracing the fact that we actually have some choices. Totally meaningless, but quite useful for the business. Of course cause just because you don't find any value for this everyone else MUST share your opinion. EISA & DPR were judged by different groups. Diff angles of view. Yes I know, of course the judging panel is different. Where did I wrote they were the same??? Just for comparison it is interesting to see the results, it's a different take from the DPR one. The EISA stand point are from the Pros. Not sure the other judge. no they are not, they are an European association of around 50 specialty magazines. People like stating the obvious as comments for replying this thread. Oh and CLEARLY DPR is biased against Sony since the 90mm lens that won at EISA didn't even get a look in here! Yes it won in the ESIA awards too. But it probably won't sell too well due to the exceedingly high price. I disagree, It's extremely expensive but an exceedingly "desirable" camera, and I think Leica will have problems meeting the demand, despite the high price. I seriously doubt there are too many people who see value in a $4k fixed prime lens camera. The only such camera I would consider desirable would be the Ricoh GR II as these cameras are purely for fun as they are severely limiting what you can shoot. ^^ Fair enough. It suits your needs and thats good. However the A7rII is #1 in amazon.com mirrorless best seller, while the Leica Q is nowhere in the top 100 and I doubt it will be anywhere in the top 1000 also. So the fact that Leica can't keep up with demand is hardly telling since its obvious they will be having a very small production run. I am aware. Had a look at your portfolio and Flickr link which had EXIF info. Have you by any chance tried the Sony 28mm f2 to compare with the Leica Q ? Or an actual Leica lens like the 28mm f2 Leica to use on the A7rII ? The Samsung NX1 has to be the least available product going, having checked extensively there is ONE store with stock in the UK. It's also staggeringly expensive, I'm amazed if they've sold more than a few hundred. Well, you could get the similar price but less impressive Panasonic GH4 that also has 4K. ChrisH37 - The NX-1 is not going to be as well stocked as established camera brands like Nikon, Canon and Sony. There are several dealers advertising the NX-1, but most have it listed as "awaiting stock". That signifies that either Samsung's import and distribution service is failing, or (more likely) that demand is currently so low that dealers will only order them when customers ask them to. It's a great camera, and has a good system of lenses, so the real problem I think is that Samsung are not promoting the camera heavily enough. I also agree that it's hugely overpriced when compared with it's direct competitors Canon 7DMkii and Nikon D7200. So many indignant comments because Samsung made a good camera/Sensor/Lens. It seem to have really offended some people. Obviously you wanted them to use a different criteria than what they though was the "Best" when choosing the winners? These awards and others similar to it are portentous indicators of brands you may want to think of jumping ship now before everyone else come to the same sinking sick feeling of impending doom and stampede into another much better brand. And the losers are...nobody!!! Awardsfor all!!! 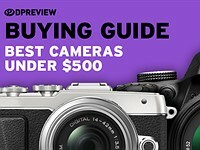 Pentax, Olympus, Fujifilm and Samsung all make excellent cameras, but they are not as popular with reviewers or buyers, when compared to Sony, Nikon, Canon and Panasonic. Someone has to win, someone has to lose. It doesn't mean that the losers are bad cameras, it just means they are not as popular! Maybe the losers will be the winners next. The real winners are us, for plenty of choice and quite good choices. Nice awards, and although I haven't seen most of these cameras in person, I think the winners seem to be spot on based on reading/drooling over articles about them. On the other hand, I do feel that Pentax was snubbed not to be at least one of the contenders for high-end crop sensor ILC (K-3 II with pixel shift high res mode, AA filter simulator, integrated GPS and sensor-shift star-tracker tech). And consumer crop sensor ILC (K-S2 with probably the lowest price weatherproof kit available). I'd tend to agree on both counts [not knowing most of the cameras in the polycarbonate - including Pentax]. I suppose it does go to show how many good cameras there are on the market these days that something that looks so good on paper at a great price should be overlooked. I'm bought into the MFT microcosm [coming from a 5DII which I'm not using at all these days]. If I'd jumped ship at a different time, Fujis, Sonys or even the Samsung might be in contention as systems. It is very good to see so much innovation going on at the moment. Yes, those who jump ship are likely to drown. 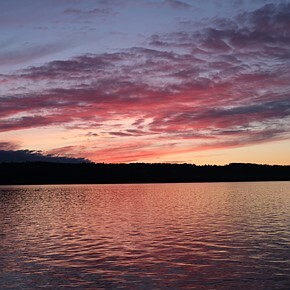 Those who stay on board continue to have great cameras and take great pictures. People should stick with what they've got and learn how to use it properly, instead of making silly "threats" to switch brands. The 5DII is no less a great camera than it was - I still use one regularly at work. I find however that modern MFT cameras are matching it for quality [admittedly limiting DoF is more of a challenge] whilst offering more convenience particularly whilst traveling. There are legitimate reasons for shifting systems where that may suit the individual needs of the user. It's rather silly to assume people are doing this on a whim without knowing precisely what the benefits/pitfalls are. I find myself agreeing with most of the awards this year, which is nice for a change. The Canon 11-24mm certainly is at the forefront of lens design today, and deserved the win despite being in the "group of death" (World Cup reference), what with so many ridiculously good lenses being released lately. I completely disagree with the Samsung 16-50mm, though, as it's less awesome than the Fuji 90mm or the Olympus 40-150mm (my personal pick). But that's just me.